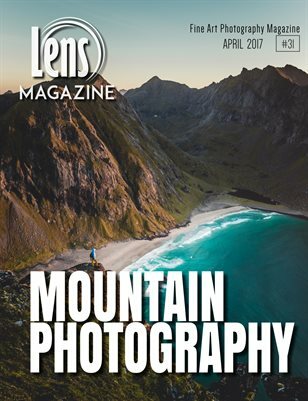 ★ MOUNTAIN PHOTOGRAPHY ★ The International Lens Magazine Issue #31 - PUBLISHED! We are delighted to present this month's issue dedicated to the extreme subject Mountain Photography. In this issue you will find great Tips & Tricks for shooting incredible mountain photographs, Interviews with Top Worldwide Photographers such as Rafn Sigurbjörnsson the Icelandic Expert Photographer &Tour Guide and a fabulous interview with the known Photographer & Adventurer Matt Baldelli, More than that, we feature extraordinary emerging photographer from around the world. Enjoy and get ready for our Shining Shot International Competition!